A suspect was taken into custody and a gun was recovered Tuesday night after a man was shot during a protest in Ferguson, Missouri, not far from where unarmed black teenager Michael Brown was shot and killed by white police officer Darren Wilson, according to The St. Louis Post-Dispatch. The injured man was shot in the leg and ran to a nearby restaurant for help, CBS affiliate KMOV reported. The man was taken to a nearby hospital after an ambulance arrived. It was unclear whether the shooting was connected to the demonstration of 50 people. Witnesses told KMOV a few protesters threw rocks at officers and blocked the street near the intersection of West Florissant and Canfield, the epicenter of last summer's protests against police brutality following Brown's death. A video posted onto social media also showed cars doing donuts in front of police officers. 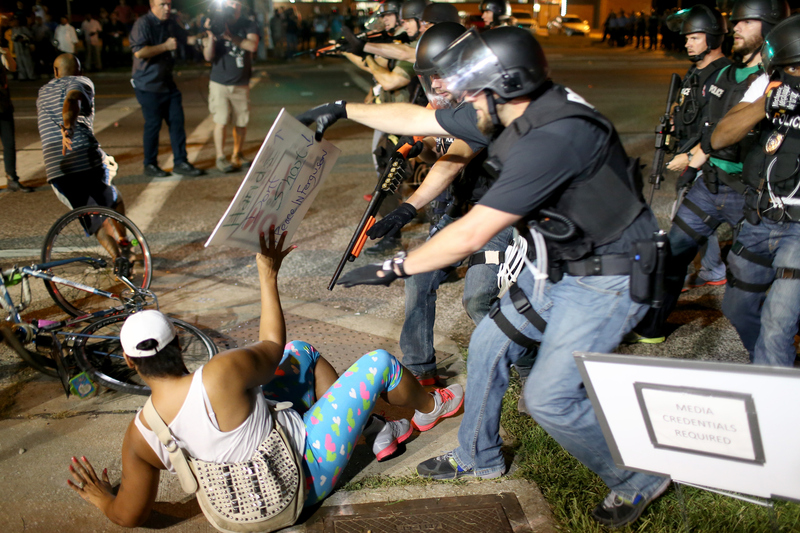 St. Louis County Police spokesman Brian Schellman told Reuters there was a request for "extra manpower" in Ferguson but did not comment on information regarding the shooting or protest. The death of Freddie Gray, a 25-year-old black man who died after sustaining a severe spinal injury while in Baltimore police custody, has reignited demonstrations in Ferguson and across the country. Images of looting and fires in Baltimore Monday have drawn comparisons to last year's volatile events in Ferguson.